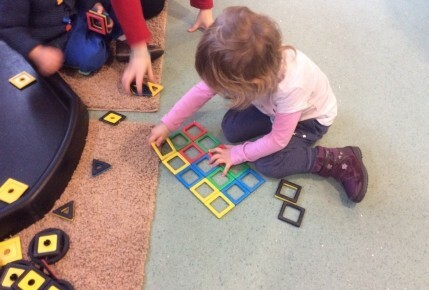 The children in Pre-School have been busy using the magnetic shapes to make different patterns. 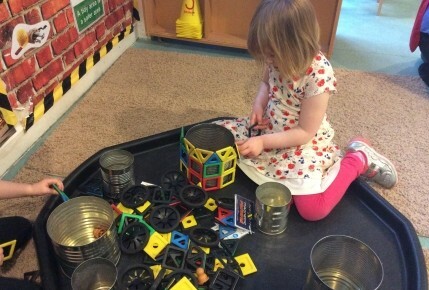 One of the children realised that the magnetic shapes stuck onto the magnetic tins, so she collected them and made patterns on those. 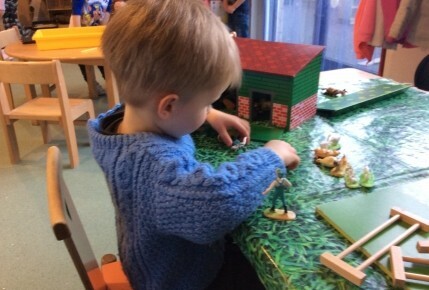 One of the younger Pre-School boys has been really interested in the farm and enjoyed borrowing the Toddler's farm set to carry out his imaginative play. Why not come and visit our Monifieth Nursery to see what else we get up to.